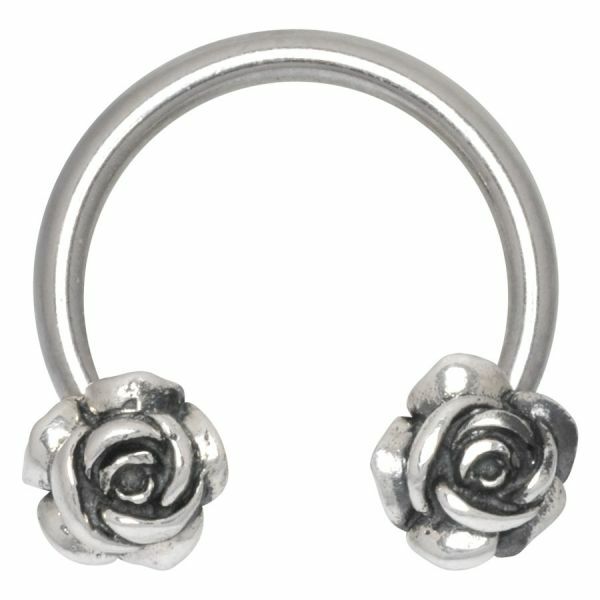 The premium processed Circular Barbells of the Titan Highline® are horseshoe-shaped which means that in between both clasping balls, that hold the ring in the pierced canal, there is a slight opening. Of course the balls are also available as replacement articles (1.6 – 2.4 mm TBA/ from 3.2 mm on SEB). By the way all the threads in our collection of jewellery are normed, which makes various combinations of pieces with all kinds of clasping balls possible. The circular barbells are externally threaded in the strengths of 1.6 up to 2.4 mm, so the clasping balls will be screwed onto the external threads. All barbells from strength 3.0 mm on are internally threaded, therefore the clasping balls will be screwed into the thread. This product is also available in the Titan Blackline(r) (KCB), in the Steel Highline(r) (CBB) and in the Titan Zirconline(r) (GCB).